How can any of the shows and movies be free if it’s $5 a month? You have to pay $5 to get all the same free content you can normally get on any smart device, but then it has to be on their crappy set top box? And then you need to also have Comcast as your internet provider? I stopped reading when I got to “Comcast”. Why not just have an ATV app? So, let me get this straight... They want to charge you for stuff that either you can already get for free, or that you could easily purchase from less sleazy companies? AND you have to use a crappy, proprietary set top box? Hard pass. I wonder if it’s the price or the content that will flex. 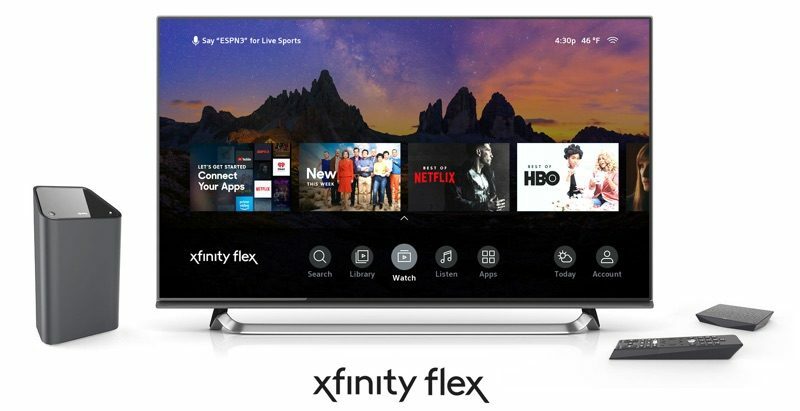 I pay xfinity currently for a triple-play package…I switch between Fios and Xfinity at the end of each contract period. While the price sounded good, it seems there isn’t much content you can’t get elsewhere. Not sure if you can access the xfinity on demand (which could be a nice benefit) or if you only get those other streaming “channels”. So far Netflix hasn’t signed me out on the X1 box whereas every so often Netflix (and other channel apps) on the AppleTV sign themselves out and I need to log in again. UPDATED: it does look to include their OnDemand content. Though also says prices subject to change (not sure if that means the subscription prices you can buy from third-party OR Flex charge. And limited to just 2 boxes for now. I suppose this is another way to get your data. Like any other streaming device.